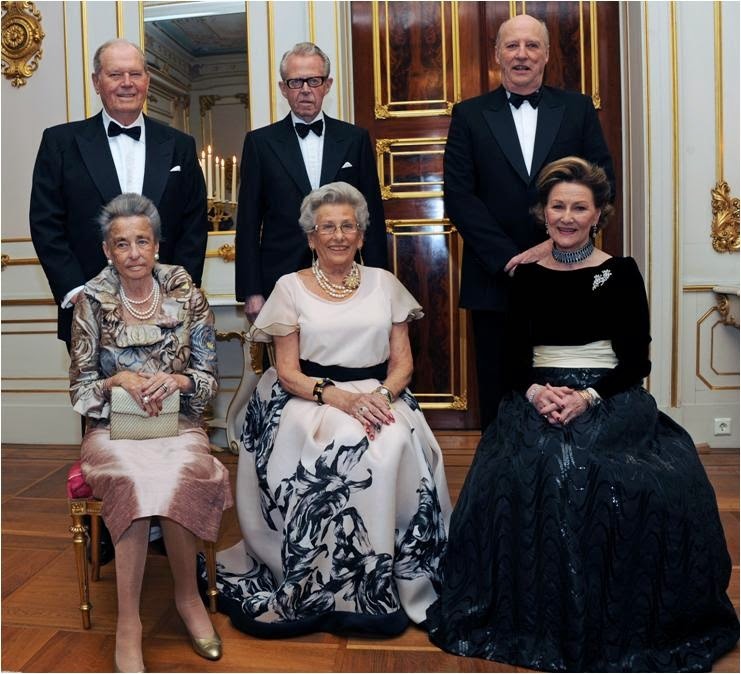 In 2012, celebrating Princess Astrid's 80th birthday: Princess Astrid and Mr. Ferner, center, the late Princess Ragnhild and husband Erling Lorentzen, left, and King Harald and Queen Sonja, right. Stay tuned for Monday, we have matters of a Belgian sort to discuss. Prep your waffle maker for the occasion.